When I was searching the Interwebs for last week's obsessed., I ran across videos for the webseries The Lizzie Bennet Diaries. I have this feeling that someone has told me about these videos before, but I probably noted the title down somewhere with every intention of following up ... and then promptly forgot. (I do that frequently.) I truly apologize to whomever might have told me about the series, because, after catching up completely in a matter of days, I am now totally obsessed. Start with the video below, and then check out this link to continue. 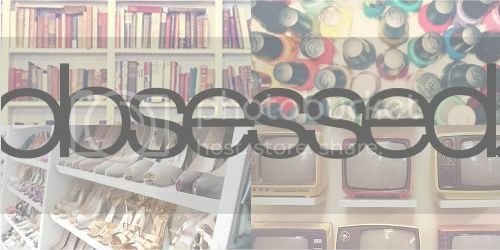 With 84 (and counting) videos (plus videos from other "characters," Twitter conversations and Tumblr photo posts), it might seem like a daunting task, but you can do it. Let me know when you've caught up and we'll discuss. 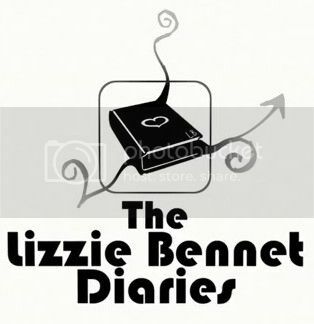 I love love love The Lizzie Bennet Diaries! I've always liked Pride and Prejudice, but this version really does an excellent job of modernizing it and making Lizzie seem like a real person. PS: Have you been watching Lydia's web series too? Yay! Another new one out today, I think? Must go look. Definitely! She's still as stubborn and as judgey as ever, but the growth in her opinions is evident. Perhaps that is where I saw it mentioned! Silly me. I actually kind of like being able to catch up with things in large chunks, but I've been pretty good about this series (once I caught up originally, that is).